This entry was posted on July 26, 2014 by admin. 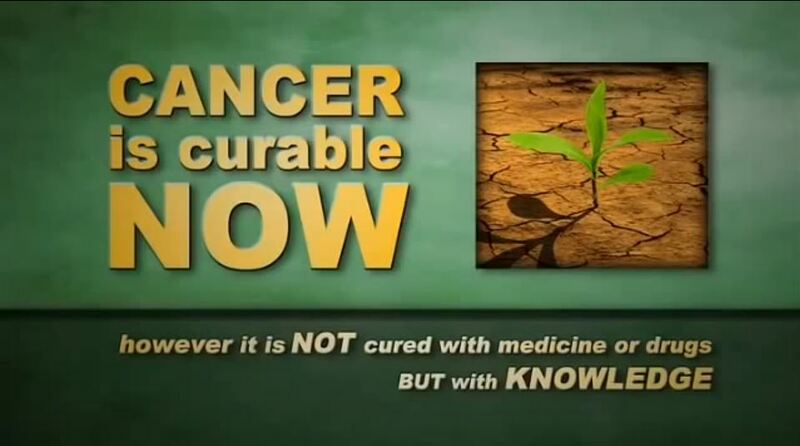 This documentary pulls together more than 30 international holistic professionals who have been working passionately in the field of cancer alternatives — doctors, scientists, researchers and writers from around the world. You've probably heard about many of them in books and on TV, but if you'd like to see their knowledge distilled into a 90 min firework of insights, this movie is the place to do it. Marcus Freudenmann and his wife Sabrina, a naturopathic doctor, traveled the world with their four children for almost 3 years to meet the experts. Their mission was to create a film about natural cancer treatments that would "wake up the world." An ever growing number of talented people are involved in this shift of consciousness. The movement is gathering power and momentum, and it's growing much faster than we all anticipated. As one of the doctors says in the film, a few years ago very few of the patients coming to her were eating whole, raw, organic foods, much less juicing them. Now ALL of the patients she sees know all about these things and they've already started doing them before their first visit. She doesn't have to talk them into a healthy diet. They know about it and they're ready to go. The film advises viewers to "vote with your money". More and more patients are simply turning to the doctors and treatments that are successful and they're taking their money with them. I don't know how long it's going to take, but I think in 20 years at the outside, conventional medicine as we know it will be dead and gone. M.D. 's will either be nonexistent or they'll have learned about supplements, good nutrition, hyperthermia, ozone therapy and all the rest of the treatments they now call quackery! As one expert says in the film, someday people will look back and wonder "what kind of Neanderthals we were" practicing surgery, radiation and chemotherapy (cut, burn and poison). He calls the conventional approach "Medieval." Giving just one example, this expert points out there's no proof mastectomy — removal of the whole breast — extends the life of breast cancer patients, yet doctors go right on doing it. The women are scarred for life. Does that kind of treatment deserve the term "Medieval"? I think so. The film interviews doctors who tell you how patients are bullied and pressured by conventional oncologists. Sometimes they're hustled onto the operating table the day after their diagnosis — without having any of their other choices explained to them. And what's worse is that no matter how effective a treatment could be, conventional patients are still being killed by the food they are fed in hospitals. All the doctors in this movie unanimously explain that sugar is the killer No 1 for every cancer patient and even though every medical doctor should know that, they still feed their patients tootsie rolls and candies in the chemotherapy room. It's hard to believe that they can still sleep at night! 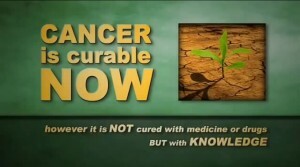 CANCER is curable NOW is not a political movement, at least overtly. The film is based on common sense, slamming conventional oncologists and the big drug companies with their own greedy ignorance, and in the end, the message isn't "write your Congressman". It's "go to alternative doctors and let the other guys wonder what happened." It's a smart move which will probably achieve a lot more, than hammering against a door, which will never be opened. This movie could be just the thing if someone you love is on the fence about whether to try alternative cancer treatment. It's an important tool to help bring them around, because our movement is still in its early days despite the growing number of books, reports, newsletters and websites. Seeing is believing, and thanks to this film your loved ones can see alternative cancer experts and learn for themselves that they aren't criminals, quacks and charlatans. f you go to conventional doctors, you'll never hear a word about what CAUSES cancer, much less how to get rid of these toxic chemicals. Cancer isn't something that just happens to us. As one expert says in the film, "Cancer doesn't just strike you, an innocent victim, all of a sudden. You have been brewing conditions inside your body for, probably, decades." The film also acknowledges that changing our habits isn't easy. It gives practical advice on how to do it. Dr. Francisco Contreras tells viewers, "If you believe cancer is going to kill you it will. The power is within you to cure yourself." Dr. Contreras and his excellent clinic Oasis of hope are recommended in this movie. The movie also gives practical, useful advice on choosing a doctor. The film asks, is there ANY other important purchase where you'd just hire the first person you talked to or buy the first product you see? Yet people go to whatever conventional oncologist they're sent to, and they do every single thing he or she says. One of the doctors in the films says, you shouldn't just get a second opinion, you should get a third opinion, too! Here's one way to screen the applicants: "Any doctor who tells you nutrition doesn't matter has no clue" says Dr. Garry Gordon. For patients trying to figure out how to change bad habits, one of the movie's best pieces of advice is to surround yourself with supportive people. Hang out with people who eat right, who exercise, who take steps to get the stress out of their lives and deal with their emotional issues. As you probably know, there are a huge number of cancer treatments and there isn't much evidence to back up most of them. The film sticks to the proven therapies you can trust. They can't offer most of the treatments without losing their license or going to jail. So, being busy people, they don't even bother to learn about them. These treatments have been effectively run out of town. So this documentary is far more than an easy, quick way to help someone you love bypass the news blackout and learn what's what. It could also be good thing to give your alternative doctor/practitioner. Many people are too busy to read a book, or too tired at the end of the day. A film can be an easier way to open the door, and that's one reason I'm so excited about this one. Everyone can help by purchasing access to this film and giving or lending it to as many friends and relatives as possible. It's the easiest tool to start the big shift towards a more conscious future. Don't spend your money where you get nothing in return! Rather invest in yourself !